Americans who pay Social Security taxes for at least 40 quarters of employment are entitled to retirement benefits. The amount you receive depends on the taxes you paid and your number of years of enrollment. In addition, spouses are entitled to Social Security payments, which are equal to one-half the benefit earned by a working spouse. Many people are entitled to a benefit based upon their own earnings, as well as a spousal benefit based upon their partner’s earnings. However, only one benefit at a time can be claimed. For example, if Tom is entitled to a monthly benefit of $2,000, his wife Mary would be entitled to one-half of Tom’s benefit, or $1,000. Collectively, the couple could receive $3,000 whenever they are both at full retirement age. Even if Mary has worked and earned her own benefits, she can choose to take whichever benefit is greater – her own, or half of Tom’s. This flexibility and the one-time option to switch from a spousal benefit to a personal benefit – or vice versa – provides extraordinary opportunity to maximize Social Security payouts. 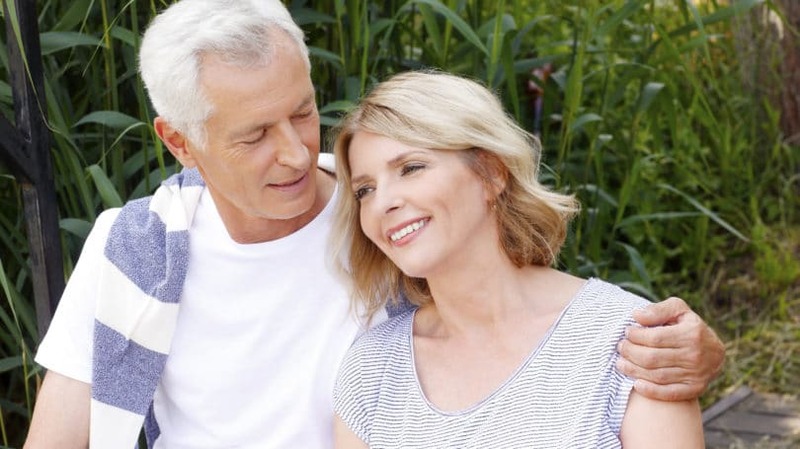 The right to receive spousal benefits is even more valuable in retirement planning when you consider the following options available to Social Security beneficiaries. Making the right decisions can significantly increase monthly benefits, as well as the total funds received over a lifetime. 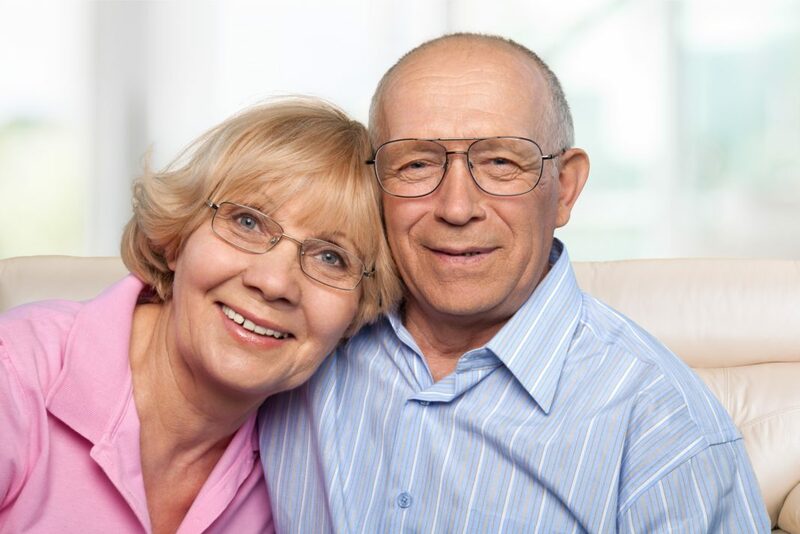 Under Social Security regulations, your “normal retirement age” is the statutory age established by Congress at which you or your spouse can receive normal retirement benefits. For example, if you were born in 1960 or later, it is age 67. Social Security allows primary beneficiaries and their spouses to begin receiving reduced Social Security benefits at age 62. However, the monthly benefit amount is reduced for each month before normal retirement age. Taking Benefit at Age 62 With a Normal Retirement Age of 67. At her normal retirement age of 67, Mary would be entitled to a $1,000 monthly benefit. Electing to take her benefit at age 62 would reduce it to $700. For the first 36 months, her benefit would be reduced by $200. For the additional 24 months, her benefit would be reduced an additional $100. By taking benefits five years early, her total monthly income of $1,000 would be reduced by $300, leaving her a net of $700. Taking Benefit at Age 64 With a Normal Retirement Age of 67. At her normal retirement age of 67, Mary would be entitled to a $1,000 monthly benefit. Electing to take her benefit at age 64, three years early, would reduce her benefit by $200, bringing it down to $800. Taking Benefit at Age 66 With a Normal Retirement Age of 67. At her normal retirement age of 67, Mary would be entitled to a $1,000 monthly benefit. Electing to take her benefit at age 66, one year early, would reduce her benefit by $76.60, to $933.30. The benefit amount, once established, would remain unchanged except for cost-of-living increases for all future payments. Due to the severe reduction in benefit amounts, electing early distribution can be a costly decision. Social Security provisions allow you or your spouse to delay benefits past your normal retirement ages, a valuable option if you are able to afford it. For each year up to age 70, your benefit increases 8% per annum. So if Mary is due to receive $1,000 at age 67, that figure increases to $1,240, or 24%, if she waits until age 70. Keep in mind that if you were born in 1960 or later, there is no financial benefit in delaying receipt of your benefits past age 69. The monthly benefit increase is capped at 24%. 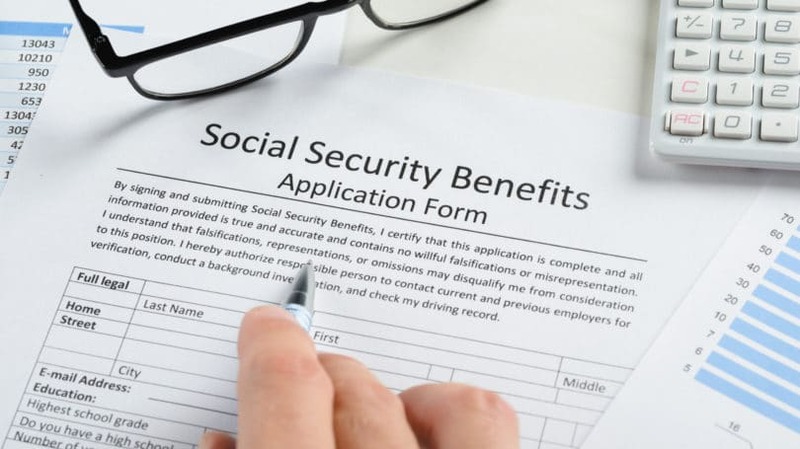 If people want their spouses to receive Social Security but want to defer their own benefits, they could file for and subsequently suspend payments. For example, Tom could apply for his benefit at age 66, thus triggering Mary’s right to a spousal benefit. Rather than taking his own benefit, Tom could suspend payments until age 70 in order to get the higher deferred amount. Mary could begin receiving her monthly spousal benefit immediately while deferring her own benefits until a later date. In this case, the ability to “switch” from spousal benefits to one’s own benefit is critical in maximizing the total received. Tom continues to work, so if he were taking his Social Security payments now, they would be taxed at a higher rate. Once Tom is at his normal retirement age, he does not have to worry about the possibility that some of his benefit may be reclaimed due to outside income. Mary is entitled to her own Social Security benefit that is expected to be greater than her spousal benefit from Tom. Using the spousal benefit now allows her own benefit to grow at 8% per year until she switches to her own account. If the couple had a financial emergency during the suspension period, Tom could choose to begin benefit payments at any time after his regular retirement age. Or, he could request a retroactive lump sum of monthly payments that would have been paid to him if he had taken payments at full retirement age, rather than deferring. If the latter option is taken, he would need to be aware of income tax liability, as well as increased Medicare premiums. Having good health and an expectation of longevity is essential if you decide to use the “file and suspend” strategy. When you defer payment, you’re taking a gamble that you’re going to live long enough to “break even” from a cash flow standpoint. Social Security beneficiaries who are married to other Social Security beneficiaries can file for benefits, but restrict their application to the spousal benefit, rather than drawing on their own accounts. For example, Bill and Jane retire at age 67 and expect to live out their full life expectancies of 16.1 and 18.6 additional years, respectively, according to the Social Security Administration. Each expect a $2,000 monthly benefit based upon their lifetime earnings. Both Take Their Benefits at Age 67. The couple receives $2,000 for Bill and $2,000 for Jane, or a total $4,000 monthly. If the couple lives 16 additional years, they stand to earn $772,800. Both Defer Benefits Until Age 70. Bill and Jane defer benefits until age 70, entitling each to receive $2,480 or a total of $4,960. If Bill lives to be 84 years of age, the couple’s collective earnings amount to $839,232. However, Bill must live to at least age 83 in order to compensate for the first four years of deferred payments. Mix and Match. In this case, one spouse takes a regular benefit at age 67 while the other takes a spousal benefit. Jane files for her regular benefit of $2,000 while Bill uses the restricted application to file for spousal benefits of $1,000 per month, deferring his own benefits until age 70. Once he reaches 70 and switches to his own benefit, he receives $2,480 per month (due to the deferred benefit). Bill and Jane’s joint income at this point would be $4,480 per month. Assuming Bill lives to age 83, the couple can expect to collect $806,880 in total benefits. These decisions are often complicated and depend upon the unique circumstances of each couple. If you’re at all unsure which distribution option is right for you, consult a financial advisor. If Tom has a $2,000 benefit, and Mary has elected to receive half of Tom’s Social Security for a $1,000 spousal benefit, the two have a total monthly income of $3,000. At Tom’s death, Mary would continue collecting a $2,000 benefit, but would no longer be eligible for her $1,000 spousal benefit. John and Betty each draw $2,000 monthly based upon their individual earnings for a total income of $4,000 per month. At John’s death, Betty would not receive a widow’s benefit because her Social Security earnings are equal to John’s. She would continue to receive $2,000. Carol receives $2,000 while Joe receives $1,200, for a combined family income of $3,200. At Carol’s death, Joe would receive $2,000, the exact amount of his deceased spouse’s benefit. If the deceased spouse received reduced benefits due to early elections, the widow and widower benefits would be reduced accordingly. Similarly, if the deceased spouse had deferred taking payments until past the normal retirement age, the widow and widower benefit would be increased. Calculations of Social Security benefits can be complicated depending upon the earning records of each spouse, and the age at which they begin drawing benefits. Before making a determination for your retirement, consider the following. 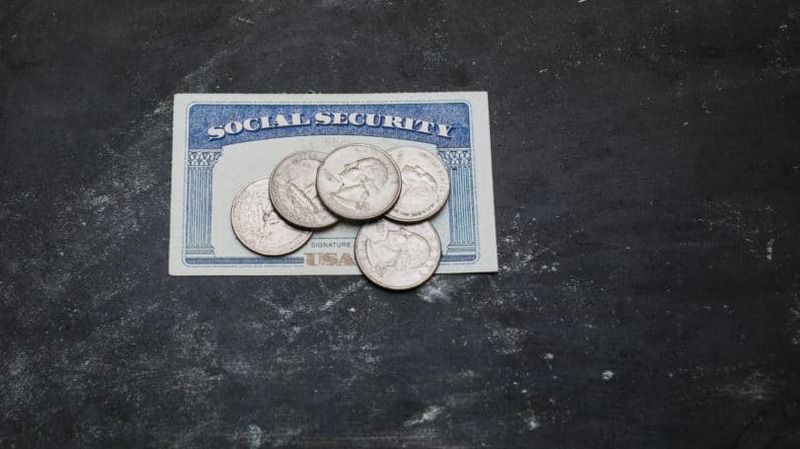 Social Security benefits continue until the month after the death of the recipient. Poor health of one or both spouses should affect your decision about when to begin benefits. For example, a high-earning spouse in poor health may elect to defer taking payments past normal retirement age in order to maximize the widow or widower benefit. Conversely, the best decision may be to take benefits early in order to enjoy time together. Deferring your Social Security benefits provides a significant market return of 8% annually. From 1928 to 2013, the average return for the S&P 500 has been 11.50%, according to the Federal Reserve database in St. Louis. However in the last 10 years, market volatility has ranged from a loss of 36.55% to a profit of 32.15%. For some people, an 8% return is a secure and welcome option. In cases where one spouse has earned considerably more than the other, the benefits may be significantly different. For example, if Tony spent his career in accounting, he may be entitled to a monthly benefit of $1,800. However, his wife Pam may have worked as a pediatrician and is entitled to benefit of $2,400. This difference allows most couples to manage their benefits to best fit their needs, whether for maximum income now or in the future. Tony could file for his benefits, receiving $1,800 per month. Pam could file and suspend her own payment, electing instead to receive spousal benefits from Tony’s account, totaling $900. This would allow her to defer her benefits for three years until age 70, at which time she could switch to her own account and begin receiving $2,976 per month. For the rest of their lives, their total income would be $4,776. In the event of one partner’s death, the benefit would revert to $2,976 for the individual. Pam could file for her benefits in her own name, receiving $2,400 per month. Tony could elect to take a spousal benefit of $1,200 and defer his benefits for three years until age 70. At age 70, Tony could switch to his own account and begin receiving $2,232 monthly. For the rest of their lives, their total income would be $4,632. In the event of one partner’s death, the benefit would revert to $2,400 for the individual. Deciding which spouse takes the spousal benefit may initially be based upon life expectancies and projected benefit amounts. For example, at age 67, a woman is expected to live almost two and a half years longer than a man. Your calculations should consider the effect upon widow or widower benefits. Deciding when to begin Social Security benefits should only be done after careful analysis. The total benefit for two people can easily amount to hundreds of thousands of dollars, and a wrong decision can be expensive. Seeking counsel from a certified financial planner is recommended. Avoid the Early Retirement Option if Possible. The decrease in benefit due to early retirement is punitive, so unless the need for income is severe, wait until you reach your normal retirement age before beginning distributions. Of course, if a person is in ill health and is unlikely to survive to their regular retirement age, taking early distributions is financially sound. Just don’t forget that taking early benefits also reduces the monthly widow or widower benefits received by the surviving spouse. Delay the Start of Benefits Until Age 70. An 8% deferred guaranteed return is difficult to achieve in today’s volatile markets, even if you are willing to take substantial investment risks. While deferred benefits can be a solid financial decision, make sure you’re able to replace that missing income from work or other investments. Beneficiaries With Nonworking Spouses Should Always File and Suspend. Deferring spousal benefits for a nonworking spouse rarely makes financial sense. For example, the primary benefit owner who was entitled to $1,000 monthly would eventually receive $1,240 by deferring payment. At the same time, the spousal benefit would increase from $500 to $620. The three years of deferred payments would total $18,000, requiring 12 and a half years just to “break even.” The spouse should instead begin collecting immediately, using file and suspend. Higher Wage Earners Should Defer and Use the Spousal Benefit. Higher earning spouses electing the spousal benefit can let their accounts increase and then switch to them at age 70. Although this may result in a disproportionately reduced income during the deferral years, it sets the couple up for a much greater benefit in the years thereafter. Use the Greater of the Spousal Benefit or Your Partner’s Entitled Benefit. The greater payment always continues through the widow or widower benefit. Matt and Sylvia are age 67, their normal retirement ages. Matt, a former executive, is entitled to receive $2,300 monthly, while Sylvia, an employee of a local charity, is entitled to $1,500 per month. Both partners are in good health and likely to live as long or longer than their projected life expectancies. Both Elect to Defer Benefits Until Age 70. Neither party would receive Social Security benefits until age 70. At that point, the combined benefit would be $4,712 – Matt’s deferred benefit of $2,852, plus Sylvia’s deferred benefit of $1,860. In the event of one partner’s death, the benefit amount would revert to $2,852 for the individual. Both Take Benefits at Age 67 in Their Own Names. Sylvia’s own benefit of $1,500 is greater than her spousal benefit of $1,150. The couple’s combined monthly income is $3,800. In the event of one partner’s death, the benefit amount would revert to $2,300, the full amount of Matt’s benefit. Matt Takes His Full Benefit While Sylvia Uses Her Spousal Benefit. Matt receives $2,300 per month starting at age 67, while Sylvia files a restricted application, deferring her own account and taking a spousal benefit of $1,150. This leaves the couple with $3,450 per month. At age 70, Sylvia switches from the spousal benefit to her own benefit, now $1,860 per month. For the three years of deferral, the couple receives $3,450 and thereafter $4,160, which continues as long as each partner is alive. In the event of one partner’s death, the benefit amount would revert to $2,300 for the individual. Sylvia Takes Her Full Benefit and Matt Uses His Spousal Benefit. Sylvia receives $1,500 per month at age 67 and Matt elects to receive a spousal benefit of $750. During the three years of deferral, the couple makes $2,250. At age 70, Matt switches from the spousal benefit to his own account, changing the couple’s monthly income to $4,352. In the event of one partner’s death, the benefit amount would revert to $2,852 for the individual. According to the SSA, in August 2014 there were more than 40 million Americans receiving retirement benefits, totaling $52 billion per month. Social Security accounts for 38% of income for all seniors in the U.S, and for one in three, the benefit makes up almost their entire income. By any measure, these benefits have a substantial impact on the security and comfort of America’s seniors. Knowing the rules and regulations and taking the time to consider how best to maximize your benefits can be incredibly rewarding. Contact your local Social Security office to understand your rights, and visit a certified financial planner to take a look at your options.